OK, we’ve covered a ton of information in our first two Treated Wood Inspection blogs! Essentially, the plant inspection has been completed…records were reviewed, in-plant QC was assessed, product was evaluated for penetration and retention analyses have all been completed and uploaded into the plant’s database. As mentioned in the first blog, overall plant evaluation by Third Party should be from the “Big Picture” perspective. Yes, each visit stands on its own in terms of In-plant QC requirements, records, penetration and retention. 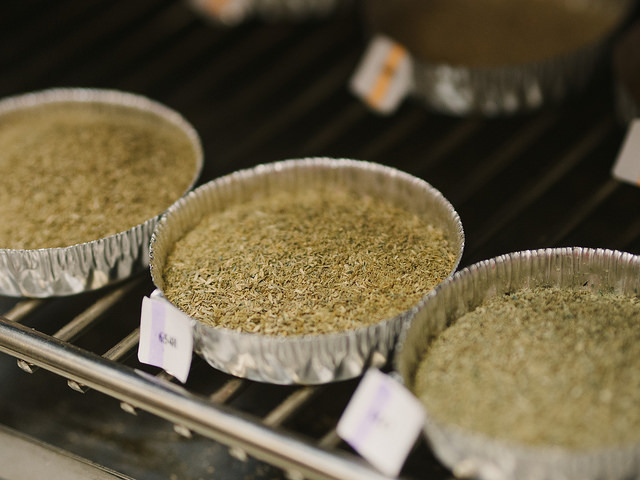 Plant Status, however, depends on the satisfactory level of In-plant QC AND a cumulative assessment of the last 20 samples taken for a given Production Category (remember, Production Category = preservative type, retention and specie). AWPA Standard M23 provides a checklist for Third Party audits to determine a plant’s status based on the performance of its QC Program. Plants have very specific QC items that are required and the checklist addresses each responsibility and assesses points for any non-compliance. Higher point values are assessed based on the severity of the lacking QC. Minimal deficiencies can cost a plant points, but may not reduce the plant’s “In-Plant Status” on a single inspection. Multiple or additional inspections where the deficiency is not corrected, however, can reduce the plant’s status. Major infractions are more likely to reduce a plant’s status immediately. M23 does allow for a plant to be immediately Disqualified if it is determined that the plant has intentionally acted in a manner to misrepresent product or processes. A plant in good standing will remain in “Routine” unless enough points are accrued to warrant moving the plant to “Increased”, “Warning” and, ultimately, “Disqualification” if corrections are not made. AWPA Standard M22 provides a methodology by which plants are evaluated for penetration. A plant’s APCC (Average Percent Core Conformance) is calculated using the most recent 20 samples evaluated for penetration. As mentioned in the first Blog, a charge is generally considered conforming for penetration if 80% (16 of 20) of the cores meet the minimum required depth of penetration. The APCC simply averages the total passing cores vs total cores taken in the most recent 20 unbiased samples. If the APCC is 80% or higher, the plant will remain in good standing or “Routine”. If the APCC drops below 80%, the plant level will move to “Increased”, “Warning” and, ultimately, “Disqualification” if the issue(s) is not corrected. Plants can have up to two weeks to make corrections after being notified of any decrease in plant level. The AWPA M22 Standard also provides a method for evaluating retention conformance. A plant’s LCL (Lower Confidence Limit) is calculated using the most recent 20 samples evaluated for retention in a given Production Category. The median value, the standard deviation and standard error are all used to compute a 95% Confidence Interval to describe retention probabilities for all charges represented over the time frame of that data set. Plant LCL’s that meet or exceed the minimum retention value will remain in “Routine” status. If the LCL falls below the minimum, the plant level will move to “Increased”, “Warning” and, ultimately, “Disqualification” if the issue(s) is not corrected. Plants can have up to two weeks to make corrections after being notified of any decrease in plant level. It is important to note that, even though Third Party uses a “Big Picture” approach to overall plant status, any charge found non-conforming for either penetration or retention is required to be corrected. Plants in good standing with the Third Party QC Program (both In-Plant Status and Product Conformance Status) are eligible to label products accordingly. The label or “QUALITY MARK” is most recognizable within the industry in the form of plastic end tags, although stamps are also used to a lesser degree. Regardless of our place in the treated wood industry, I think it is safe to say that we are all somewhat familiar with end tags on treated lumber, but it is important to be able to recognize what a tag does or does not specify. Most end tags contain all sorts of information about the product, its care and handling, the producer’s warranty information and can also be used for bar codes or SKU codes for inventory and retail scanning purposes. End tags that identify a plant participating in a Third Party Audit Program, however, are required to contain very detailed information including the producer, preservative type, intended end use, applicable QC Standard(s), and the Third Party Agency that provides the audit services. This information is not only specified by the Third Party and the respective accrediting agency (ALSC or IAS), it is required when the product is subject to a building code. As seen above, the Quality Marks have very specific points of information to help identify not only the producer and product, but also the Third Party Agency and the applicable QC Standard. Products that are listed and specified under AWPA Standards shall include the “Check Mark”, while products listed under an ICC-ES approved ESR shall include the ICC-ES logo along with the reference to the ESR number. WOW…that’s a lot of information! We hope that this blog series has helped you to have a better understanding and maybe some appreciation for all that is involved with the inspection process of treated wood products from a Third Party perspective. 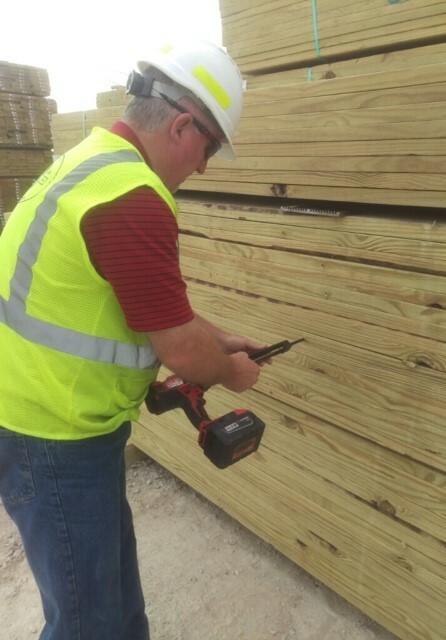 Clearly, the process is not designed to check every piece of treated lumber and it certainly does not guarantee an unlimited service life (even for those charges verified as conforming), but it does provide a system for continually monitoring key treatment attributes. While the process is not perfect, it does require that all producers meet minimum performance parameters, and it does provide a mechanism for all participating producers to be evaluated on the same basis. Further, the process continues to be modified as new technologies and concepts evolve that better enable a more thorough evaluation of the treated wood product. With all that said, and as you can see, there is a lot that does “go on” BEHIND THE MARK! As always, thanks for viewing our Blog. Please be on the lookout for future updates from the SPIB Treated Wood Division and feel free to send any questions or comments here.